Slimmer, Lighter & Great For Casual Computing! In 2008, the laptop manufacturers coined the concept called the ‘Netbooks.’ The small form factor of the laptops that were built of low power consuming Intel atom platform. At the time, it was a dream device for me, and I owned some HP Mini netbook for about 2-3 years. I loved the portability & the battery life for this device, but it lacked horribly in terms of performance. It was actually for only capable to run a few browser tabs, that’s it. Then I came across with this new budget notebook (a.k.a. 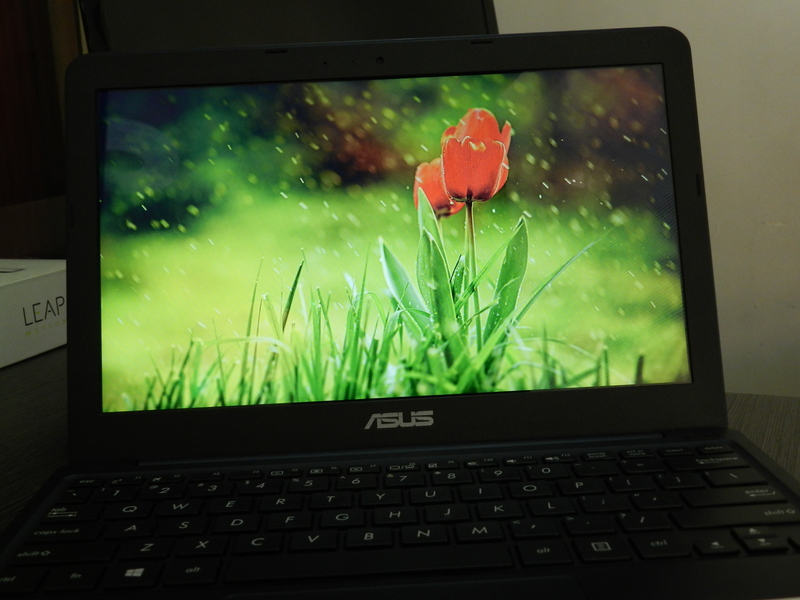 Eeebook) from Asus, and I practically fell in love with not only its design, but the performance. 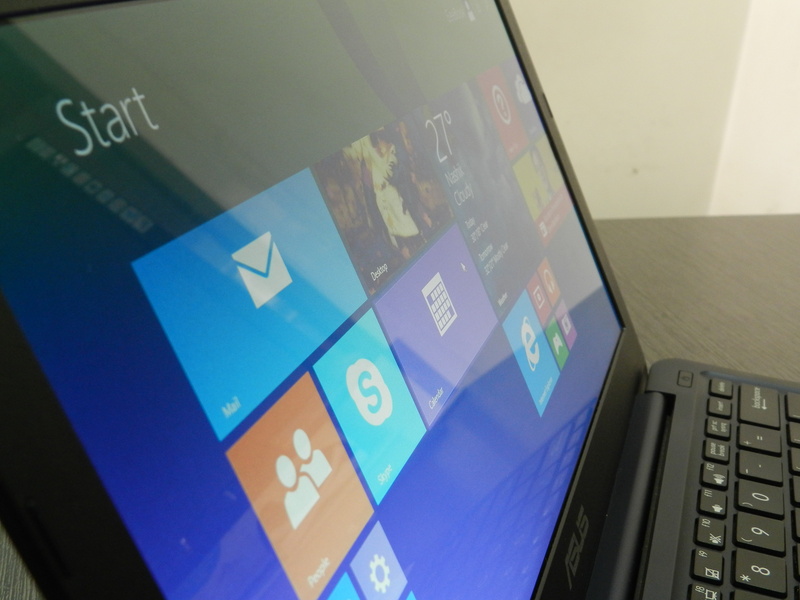 This is the review of Asus X205TA, a notebook that is priced at just Rs. 14999 and with modern quad-core Intel Baytrail processor and the super-fast flash drive. We received the review unit with the Navy Blue finish that looks nothing short of classy, thanks to its ultra-slim form factor. The device weighs at just 0.82 KG, and has the dimension of 11.2 x 7.6 x 0.6 inches. The body is made of premium plastic that feels softer to hands and delivers pleasing experience when carried around. The only real competition in this segment for X205TA is HP Stream, which has a significantly bulkier design, and still the same old netbook feeling that I had 4-5 years back. On the other hand, Asus X205TA gives you the benefits of owning a slim laptop that looks quite similar to pricey ultrabooks. As much I was fascinated by the design of Asus X205TA, I was curious to know how this device will perform in a real-world test. Equipped with the 1.3 GHz Intel Bay Trail-T Quad-Core Z3735F processor, 2GB of RAM and 32GB eMMC flash storage, I was expecting a lot more than just browsing on this notebook. I was startled with this performance of the X205TA, right from powering it on. Thanks to the flash drive that is faster than traditional hard drive, the device powers on in just 11 seconds. Quite a useful feature, if you are a business a user, and need your laptop up and running in seconds. The device comes pre-installed with the premium subscription of Office 365 for 1 year, and just like the notebook itself, the programs like Word and Excel opens up in a flash. I used the device with number of the software running at the same time, and there is hardly anything I complain about the performance. Even though, I noticed when the multiple instances of Chrome browser running, the device ran out of memory and restarted the browser, after displaying the warning. Even though Google Chrome is a well-known memory hog, X205TA has enough memory to work around with any other browser. If you are a home user, you will enjoy watching HD movies on Asus X205TA. Let’s check out this blooper video from the Lego Movie. Any HD video runs extremely smooth, and you can enjoy 11+ hours of uninterrupted videos thanks to its mighty battery life. The front facing speakers produce good enough sound to watch a movie, even if you are in a noisy place. Not just that it’s loud, but with the Asus Sonic Master Audio technology you will experience the clearer vocals, rich bass effects, and true-to-life surround sound. With the new Baytrail processor, the battery life is improved so much that Asus X205TA will deliver 13 hours of non-stop performance on a day to day usage. Like I said, it also delivers 11 hours of video & 12 hours of music playback without any issues. I tried downloading a big movie file and kept the device on standby for all day and night, and to my surprise, this notebook had about 20% of battery remaining, even after running cool and quite for 18 straight hours. Simply unbelievable battery life, hands down! The 11.6 inch of HD display sports an aspect ratio of 16:9, 1366×768 resolution. The screen produces bright and life-like colors and has a decent viewing angles. The text renders out very sharp, and the screen is great to use at medium brightness settings. The display has a glare, which produces reflection if you are using this notebook at a bright place, but you can easily adjust the brightness as per need. The highest brightness setting on this netbook is considerably high, which is preferred by some users. Check out the following HD wallpapers,which are are sharp, fine-tuned and vividly colored. So along with great battery life and performance, Asus has not compromised on the Display, despite the low pricing. So along with great battery life and performance, Asus has not compromised on the Display, despite the low pricing. Asus X205TA comes with the full-sized chiclet keyboard, that has properly spaced keys for effecting typing. The keys provide nice feedback while typing, and I’ve enjoyed typing number of blog posts without any issues. The keyboard feels durable and kind of perfect for business or home users. The touch-pad is bigger than normal size, which is quite useful for scrolling horizontally and vertically. You can experience the pre-installed Windows 8.1 in its full glory thanks to the intuitive touchpad. All types of smart gestures are supported, and touchpad respond swiftly thanks to its high sensitivity. 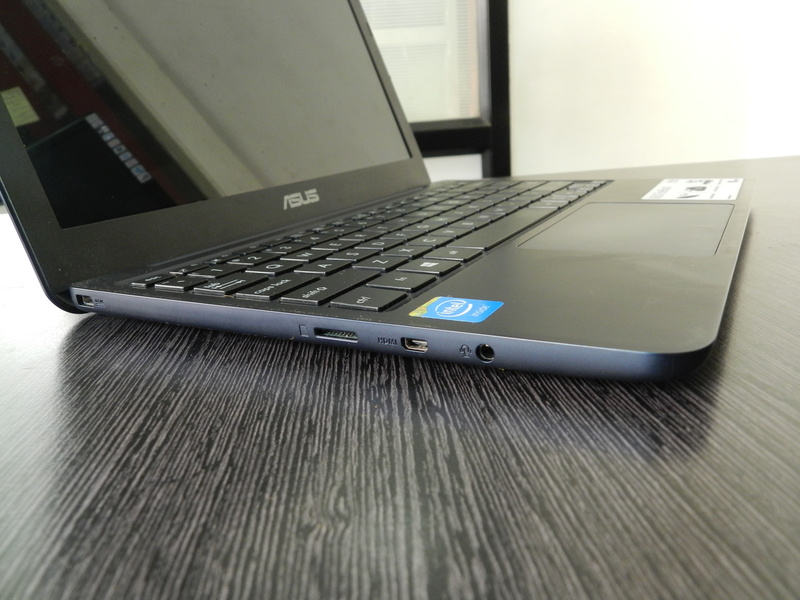 Asus X205TA maintained a super-slim form factor, but it has to sacrifice the number of ports to maintain the same. On the left side, It comes with the 3.5mm headphone jack, a micro-HDMI, and one microSD card slot for expanding the memory up to 128GB. Also, you get a tiny charging port, which is conveniently located on left side. On the right side, you get two USB 2.0 ports, which are good enough for casual users. So, you will have to rely on the Card Reader to connect your full-size SD card, microHDMI to HDMI cable to connect with bigger size displays. But I personally don’t think it’s a big drawback, you can deal with it at a budget price point. The microSD card slot performs as good as that of pre-installed storage, you can even install software on this additional storage. So if you are feeling 32GB is not a good enough storage, for additional 1500 bucks you can increase it by 128GB right away. The last thing I would like to praise about Asus’s incredible design, is its packaged charger. Its small charger similar to something you see with a tablet, and small charging port. It’s rare to see such light weight charger with laptops, and it takes the portability of X205TA to next level. 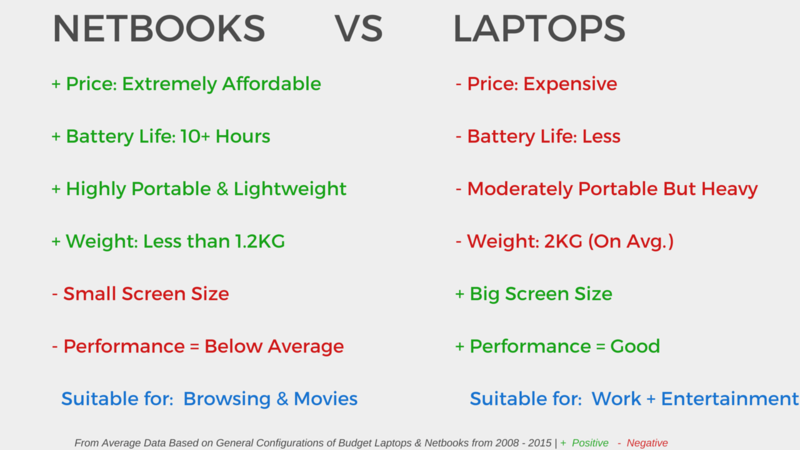 The following chart will explain exactly what you get more compared to traditional notebook or laptop comparison with Asus Eeebook (which basically is a high performance netbook). Being such a premium looking device, this device captures too many smudges on it body. Even after a single day of usage, X205TA needed cleaning. The front VGA camera is of average quality, which is not something I would complain about, but it could have been better. Priced just Rs.14,999 (in India), this good-looking notebook is available in four different colors: Blue, White, Gold & Red. They say looks can be deceiving, but clearly, its not the case with Asus X205TA. 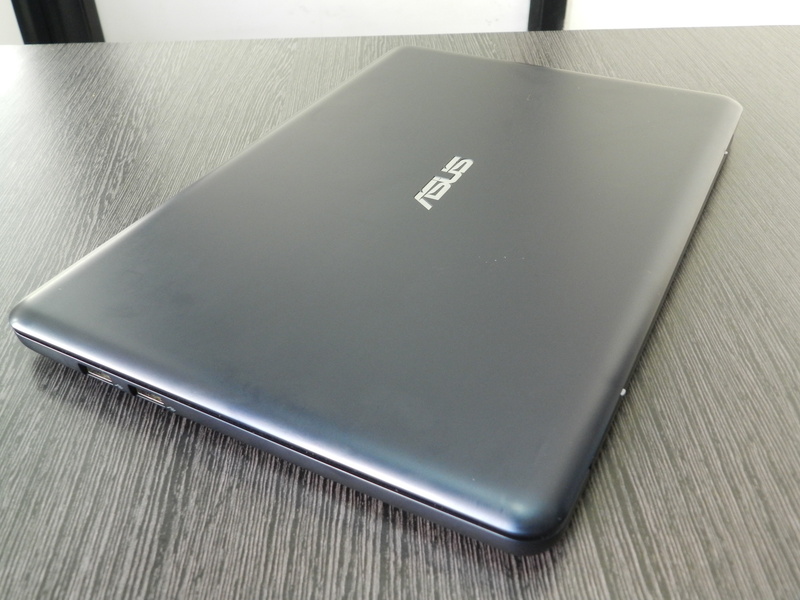 With only a minor changes you would expect, Asus X205TA is ‘the netbook’ of the next generation. It’s an absolute value for money notebook, that promises decent performance, extreme battery life, high portability and elegant looks. It’s a premium device at a modest budget for home users, and highly productive one for business users, writers, students or even web programmers. Asus X205TA is a durable notebook that will last long, and the one, you would love to hold on to! Buy Asus Eeebook X205TA at best price on Flipkart.com here or on Amazon. 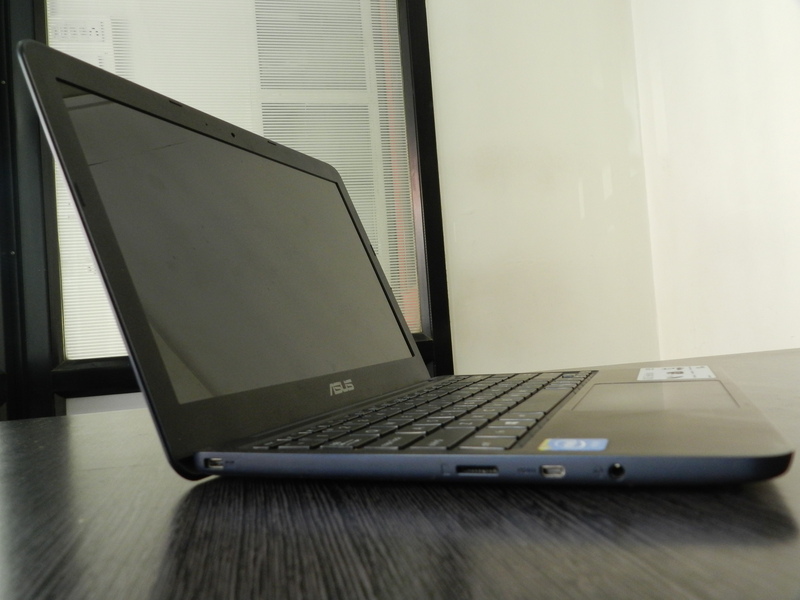 Top 3 Ways To Get Great Super-saving Deals On Laptops In India! Asus Launches New Zenfone Max with Octa-Core Processor & 3GB RAM!